Restricted access to authorized institutions ! all contents herein after ID/PW are copyrighted ! Since 2018, Killi-Data News (K-D N), has been replaced by a "light" newsletter to members, named Killi-Data Wassup informally and irregularly distributed that contains a selection of research output as a PDF, plus editorial and a view from the chair discussing major issues in applying research output into name-focused Killi-Data. Killi-Data Wassup is a new service of information to members as a follow-up of Killi-Data News. Killi-Data Wassup is not a published document (there is no ISSN number). This publication is disclaimed for purposes of Zoological Nomenclature, in accordance with I.C.Z.N. code, 4th edition, articles 8.3 and 8.4. No new names, or nomenclature changes are available from statements in this publication. No systematic changes may be purported from statements in this publication. No statements in this publication may be quoted in any other media without prior formal permission. The section titled "View from the Chair" in this publication contains no criticism (and obviously no offense) whatsoever to authors by any means. This publication only aims to disseminate the results of selected new research works and their analyses, as possible improvements of scientific knowledge on cyprinodontiformes fishes. Contents : original names, describer(s) and publication references, with abstracts and/or synthesis. For members, Killiflash are organized in a table which can be sorted out according to author, primary taxon of study, secondary taxon of study, magazine, date of analysis (initial and subsequent). Since April 2013, all contents are herein presented in a table (that can be sorted by column) with a Code (either SYS, description or systematics, ECO, ecology, BEH, behavior, MOR, morphology, OST, osteology, GEN, genetics or molecular data, EMB, embryology, AGE, life expectancy). Killiflash contents are listed per taxon, then per year hereafter. If you want to immediately access Killiflash, please freely fill in the REGISTRATION form to become a member. Since 2016 and up to end of 2017, a quarterly official KILLIFLASH newsletter (8 issues in total), titled Killi-Data News (K-D N), has been published that contains all output of research and evidence-based information available on killifish, published since preceding trimester, with a link to the official abstract of each publication plus a personal analysis (or members' comments) for each in order to highlight the findings and also the limits of the study, and also some anecdotal news on killifish and links to many videos ; it is arranged in at least 5 sections along the following themes, What is new on Killi-data.org, Announcements, Internet Review, Review of new research, New Books, Systematics & Taxonomy, Killifish Biology, Theses & Dissertations, Interesting research ; it is edited as a PDF format and is long of several dozens of pages. The executive editor is Dr Tyrone Genade (USA). Each KILLIFLASH contains copyrighted documents that cannot be printed by third parties without permission and that cannot be published online. 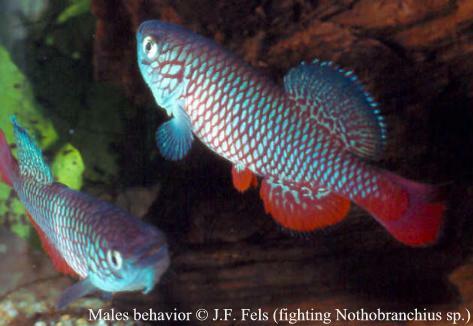 By no means, attached comments/analyses are designed to purport critics to the publication or to the author(s) : Killifish are too difficult to study and researchers are too few to justify such critics. Community comments are also given by members (like for a blog) with the same spirit. Killiflash, K-D W and K-D N are just tools to disseminate the new findings quickly and to stimulate even more new research works ! Each KILLIFLASH, K-D W and K-D N contains or links to copyrighted documents that cannot be printed without permission and that cannot be freely published online.